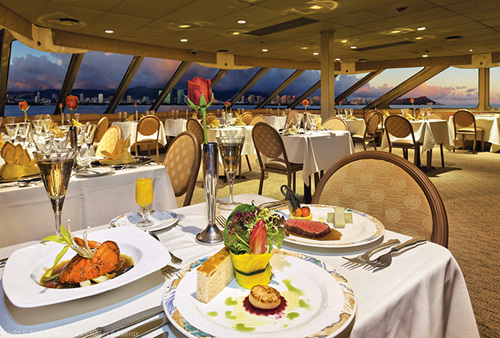 One of Hawaii’s most popular sunset dinner cruises, Star of Honolulu Cruises offer an assortment of experiences for guests of all ages. The spacious 232-foot ship is the largest of its kind in Hawaii, featuring four walk-around decks, a 60-foot observation deck for guests to get breathtaking views of the area, and a full lineup of live entertainment—one of the largest casts on Hawaiian waters. Check-in 45 minutes prior to your scheduled cruise time. No shorts, T-shirts or Slippers/Flip flops allowed on the Five Star cruise. 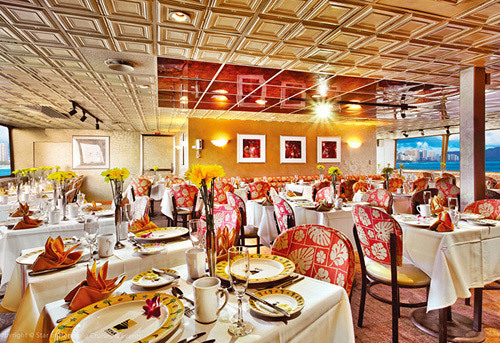 Cruises feature full menus and buffets. Come hungry! The cruise includes top-class entertainment and a knowledgeable crew. Aloha! 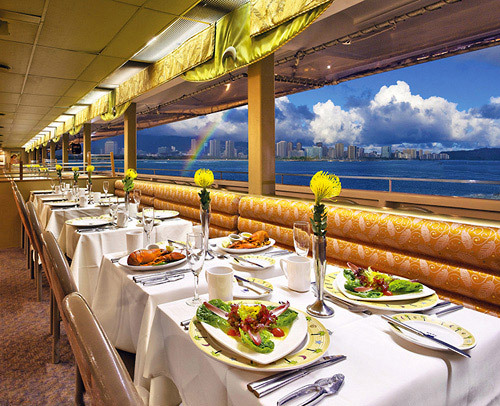 Welcome Aboard Hawaii's Most Popular Sunset Dinner Cruise. 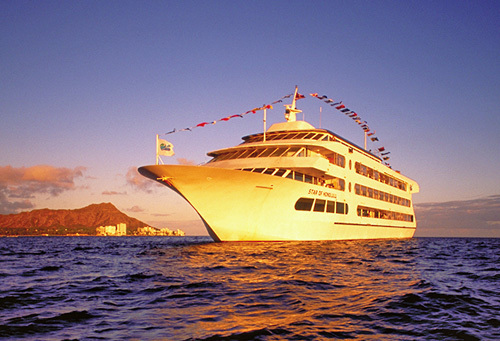 The Star of Honolulu entertains more guests than all other sunset dinner cruises. We've been sharing our Aloha with visitors for 55 years! We offer the widest range of cruise selection and prices — from our sumptuous seven-course French style dining to our value-packed Pacific Star Buffet, you'll find just the right cruise aboard the "Star." Our spacious and stable 232' ship is Hawaii's largest vessel of its kind. 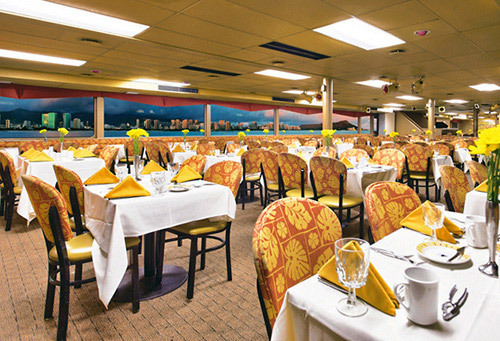 Its four walk-around decks and 60' high observation deck provide the best views and our cast of entertainers is the largest on Hawaiian waters. Come aboard and join us! We went on the cruise after I found it in a tourist coupon book. I elected the 5 star cruise and it was so worth it! We were boarded first, had a truly memorable photo with the captain and had lite snacks and drinks before being seated. As for the cruise itself, the views of the shoreline, Diamond Head, and the sunset were absolutely spectacular. The crew/staff were very attentive throughout the cruise. The dinner was a 7 course masterpiece. 3 drinks each were provided free of charge. During the latter half of the dinner we were entertained by a fabulous jazz performance and traditional hula for the beginning. All in all this was the best event we attended on our week in Honolulu. I would highly recommend this cruise to anyone seeking a highly romantic night out! 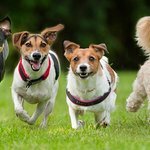 Tip: Don't skimp, book the 5 star experience and you won't regret it! Great dinner, views and entertainment. Tip: Fireworks on Friday night were beautiful. VIP staff were amazing. 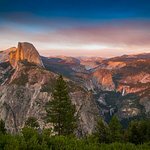 "I had a great time with friends and co-workers"
We were a party of 12 people and the service was impeccable. Great entertainment with live jazz music. We took a photo with the captain. From boarding to disembarking the staff made us feel special. Definitely a "Must do" when in Honolulu. "A Dinner Cruise in the Honolulu Harbour area"
My wife and I went out on a dinner cruise aboard the Star of Honolulu on February 27, 2015. The experience was just great. 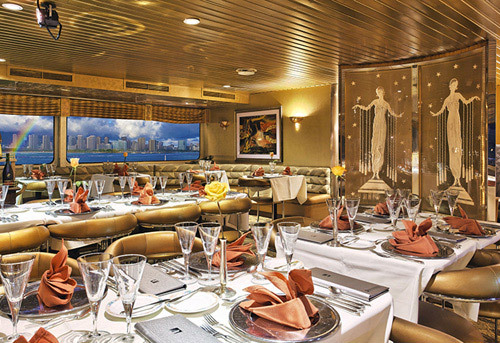 We booked the five star dinner cruise in order to have top of the line service and food and we were not disappointed. From the time we boarded we were treated like VIP's and the young man who was to serve us throughout the evening greeted us by name as we had canapés and a drink on the back deck. He showed us to our table and was attentive at the end of the night as he was at the beginning. Each meal course was served at exactly the right time and presentation was excellent. The food was delicious as were the drinks. We were entertained throughout the evening by a wonderful piano musician who later joined by a saxophonist, then a singer. During the mid point of our meal we had traditional hula dancers providing an excellent show. Overall the evening was great success in all areas. My wife and I loved it and would not fail to recommend this to anyone who should be visiting Honolulu as a "must attend event". Tip: The lower decks seem to have a livlier brand of music with more of a party atmosphere. As we went out on the open deck we could hear their music and wondered what it would be like there. Next time we'll try that..
My mom and I absolutely enjoyed our time today. The entertainment was just as thrilling as another performance I saw. The performers go all out and do not hold back. It was a very lively and fun ambiance. You must go at least once. "Enjoyable, fun, clean and a value"
A tourist town such as is Honolulu its hard to find an attraction that is genuine but yet nice. The Star has surpassed my expectations and was really fun. Boarding the ship is done in style by Polynesian dancers guides and staff. The dining room was well organized, clean and the first course laid out ready to go. An included cocktail was presented fresh and cold. The very nice server explained the trip, safety items, dinner and drinks. The ship pulled out on time and began the journey. A great tasting dinner of tender beef, vegetables and all you can eat crab legs were presented quickly and very well done. The on-board polynesian show was very fun, well done and really nice. The staff was all friendly and accommodating. The restrooms were clean, well lite and very nice, way above expectations. The view from the ship along the coast was wonderful and the warm sea air a pleasure. I highly recommend this for anyone who wants a nice Hawaiian experience. We did the Star of Honolulu sunset dinner cruise during our stay in Oahu. We loved it! It was well worth the money we paid. They have a dinner show and and 2 hour all inclusive dinner. We had great weather and were treated to a beautiful view of the Honolulu skyline. I highly recommend this cruise.The entertainment on board the cruise was fabulous. It was well organized with unlimited crab legs. This was the best trip ever! The dinner cruise was fantastic, the food was delicious and thr service was top notch! Tyler F. Was out goin cheerful and a wonderful server he was on top of each table that was assigned to him as we watched the dance train he was the one that lead the crowd with laughs The show and dance was wonderful The meal was even better Thanks for a good night would do it again great picture of us under the sunset The best part was the all u can eat 呂 legs !!! What is the dress code for the cruise? For Five Star cruises, no shorts, T-shirts or Slippers/Flip flops are allowed. Out of respect for other guests, this dress code is strictly enforced. For Three Star, Star and Pacific Star cruises, we recommend resort casual with long pants. For daytime and other dinner cruises, casual attire, shorts are fine. Please check-in 45 minutes prior to your tour’s scheduled departure. Tours depart from Aloha Tower Marketplace, Pier 8. Self-parking is available at the parking lot in front of Pier #8 - Irwin Park. Present your parking ticket upon check-in at the Star of Honolulu - Reservations Office to validate and receive a reduced parking fee. Yes, for a fee. Call the phone number on your e-Ticket for more information and to confirm your transportation request.